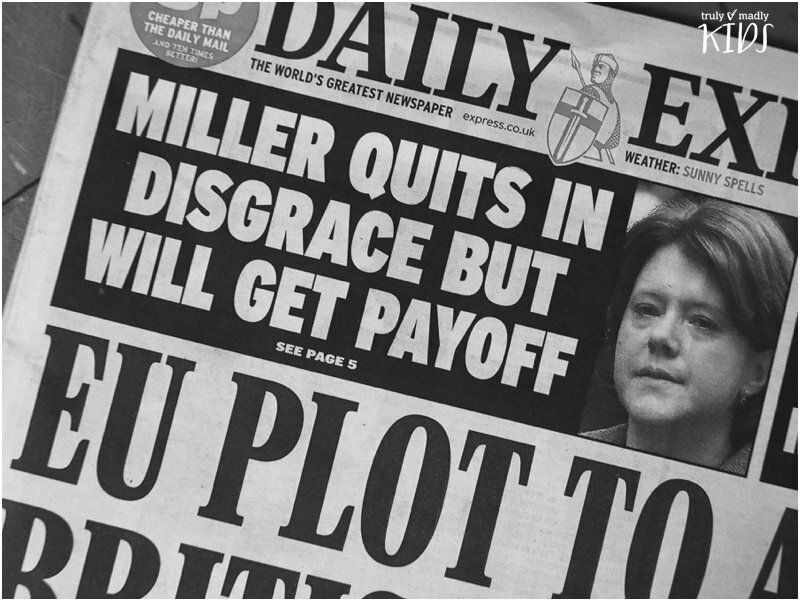 Maria Miller was, at one time, my MP. A change in constituency boundaries after a year or so altered that and I was upset. I have very little do with my local MPs, except at election time when they all want my attention, but Maria Miller was different. At the time of the last round of Post Office closures when a third of all offices were under threat she came out to see me. I hadn’t asked her to and I was rather astounded when she stood in my modest queue patiently waiting her turn, and when she got to the front she asked me how I felt about the closures and asked if there was anything she could do to help Upton Grey stay open. She even followed up her visit with a letter. I thought she was fantastic. An MP had come to help me in a time of uncertainty without me having to write, make a fuss and plead for assistance. When the boundaries changed and we had to chose again I wanted to vote for her, not the older stuffier Tory candidate I was presented with, who had also fiddled his expenses, it turned out later. James Arbuthnot only came to see me because I told someone in the Post Office that I hadn’t made up my mind who to vote for as I didn’t like the selection and I wanted Maria Miller back. Trust me, it was no big deal for him to make the trip to beg for my vote as the polling station was in the village hall of which my Post Office is a part, but he got my vote because the twenty yards he walked was a darn sight further than any of the other candidates had trodden. I was heart broken when the expenses scandal broke. Maria, my favourite MP ever, was among those found to be stealing tax payers money. I wasn’t totally surprised by my new MP’s appearance on the list, just disappointed. To be honest I felt sick to the core that all these people that we trust to run our country, those who point the finger at benefit frauds, determine how much of our hard earned wages we should be allowed to keep and who lead a fairly privileged life could do this to us. If they worked in industry they would all have been sacked and prosecuted and ALL they had stolen would have to be returned. To hear that what they had been doing was considered ‘the norm’ in Parliament disgusted me, but then I suppose I am one of those whose biggest crime is to have accidently kept the odd office pen. The amounts they stole were equivalent to months worth of my wages as a sub postmaster. Their apologies seem empty to us, and they seem surprised that the country still gets upset at the very mention of ‘MP’ and ‘expenses’ in the same sentence. It would seem that none of them get it. We watch open mouthed at corruption in our TV historical dramas… and yet it’s still here.